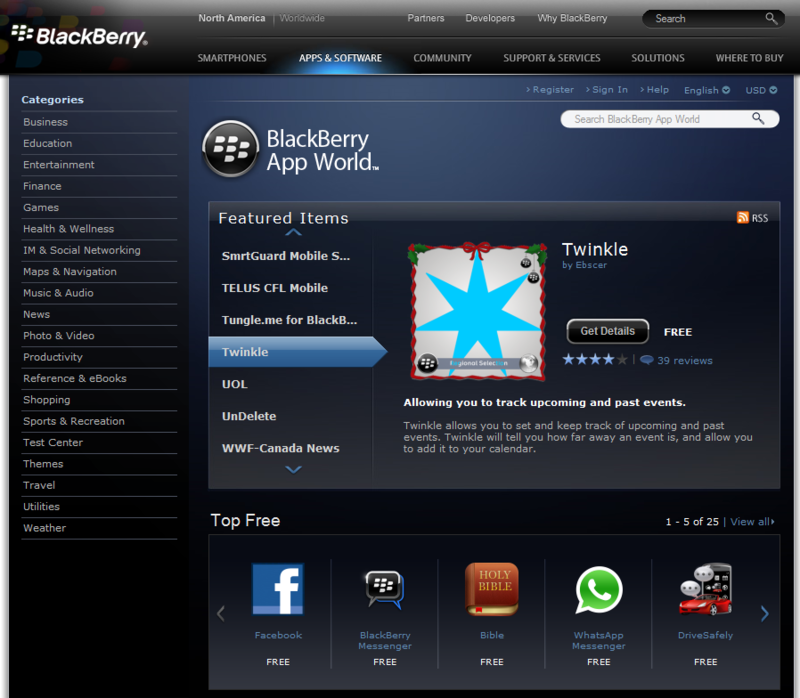 Twinkle has been selected to be featured in the carousel of BlackBerry AppWorld. 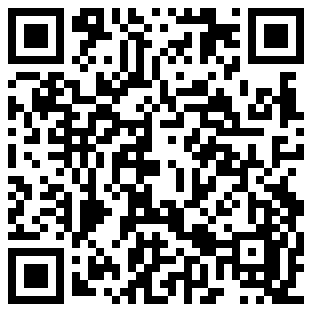 This free application has been recently updated to version 1.1 and was named a Regional Selections Winner in the 2010 BlackBerry Super Apps Challenge. 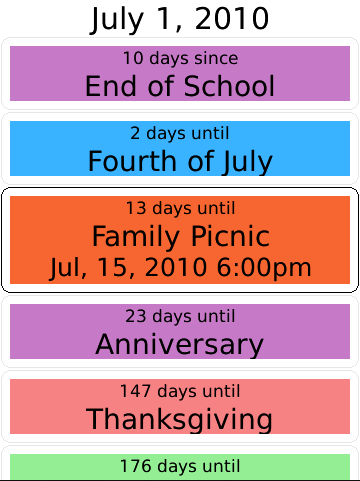 Twinkle is a simple application that allows you to set and keep track of upcoming and past events. Twinkle will tell you how far away an event is, and allow you to add it to your BlackBerry’s calendar. Twinkle gives you the ability to add and edit events, lets you keep track of how soon something is, or how long it has been. Twinkle supports all BlackBerry devices running OS 5.0 or higher. This includes the 8330, 8520, 8530, 8900, 9000, 9100, 9105, 9300, 9330, 9500, 9520, 9530, 9550, 9630, 9650, 9670, 9700, 9780, and 9800.